Within two years, Hout was a card-carrying NDP activist with excellent government and business connections, which he put to good use by “solving problems” for others. He frequently acted as an intermediary between local businessmen and the poor, between his neighbors and the electricity ministry, and, of course, between food-cart owners and the registration bureau. If your mother-in-law needed special medical care, he could get you into the top government-run hospital. If you had a problem at a nearby police station, he knew the officers. If there was a street fight, his “men”—about 30–40 toughs, depending on the evening—took care of it. And if street combatants didn’t accept his intervention? Well, that never happened. “They know that if they don’t respect me, I’ll take it personally,” he darkly boasts. Hout, 35, is the anti-Mohamed Bouazizi. 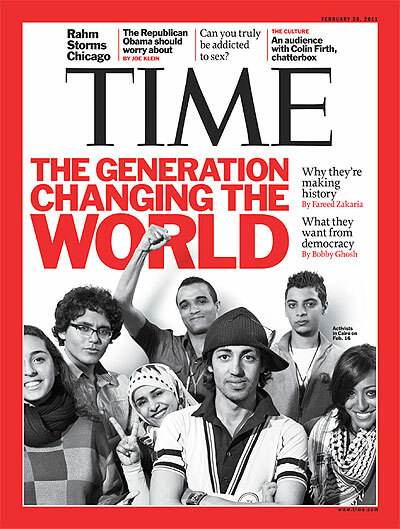 Unlike Bouazizi, the Tunisian vegetable cart owner who inspired the “Arab Spring” when he set himself ablaze in the face of governmental harassment in December 2010, Hout responded to the injustices of Egyptian autocracy by partnering with, rather than resisting, the system. Both men had similar interactions with the state—government harassment of their food-carts—but totally different responses. Of course, Hout’s response isn’t exactly praiseworthy, so he won’t receive the kind of attention that the revolutionary youth of the “Arab Spring” received. He won’t be invited to conferences in Washington, win awards for his activism in Europe, or grace the covers of international magazines as an inspiring story of Arab youth empowerment. Yet Hout is precisely the kind of “youth” that Egypt’s July 2013 counterrevolution, in which the military responded to popular protests by ousting the country’s first elected president, has brought to the fore: a security-state enthusiast who believes that his local patronage network entitles him to a political position. Indeed, Hout intends to run for parliament in the upcoming elections, which will likely take place in the next few months. And in a political environment that seeks a return to the status quo ante, the Mubarak-era political strategy that Hout embraces—leveraging his patronage network and governmental connections for victory—will likely be a winning formula. For characters like Hout, the “Arab Spring” wasn’t so sunny. The collapse of Egypt’s police state amidst the January 2011 uprising damaged his most valuable connections, and the subsequent rise of the Muslim Brotherhood, which drew massive support through its nationwide social services networks, made Hout’s local patronage network virtually irrelevant. Running as an independent in the December 2011 parliamentary elections, Hout appealed to voters by selling propane tanks, which he says he acquired through his “connections,” at substantially reduced rates. When the Brotherhood and local NGOs reported Hout’s actions to the authorities, he sent his “men” to destroy the Brotherhood’s campaign kiosks. These Mubarak-era tactics, however, weren’t effective in the “Arab Spring” era: Hout received approximately 10,000 votes—roughly 180,000 fewer than the Muslim Brother who beat him. Hout’s anti-Brotherhood activism reached its pinnacle in mid-August 2013, after security forces killed hundreds of Morsi supporters while violently dispersing the Brotherhood’s northern Cairo “anti-coup” sit-in. Intense fighting erupted in Ismailia, and Brotherhood cadres allegedly stole two armored vehicles. Hout managed to grab one of the vehicle’s keys, and ordered an associate to retrieve and return the vehicle. “[My associate] said, ‘If I do it, the Brotherhood will shoot me,’” Hout recalled. “But I said, ‘You’ll die either way. And it’s better to die at the Brotherhood’s hands, because the police will pay money for you.’” Hout and his colleague returned the vehicle to fawning headlines. Naturally, Hout was an early supporter of Sisi. Hout founded the (unnecessarily wordy) “Popular Front for Nominating and Authorizing Sisi for the Presidency of the Country” in the autumn of 2013, while Sisi was still defense minister, and then organized public campaign events in both Ismailia and the surrounding villages during Sisi’s spring 2014 presidential campaign. An Ismailia-based revolutionary activist, now laying low during Egypt’s counterrevolutionary period, reluctantly agreed. “In this kind of environment, Suleiman al-Hout can be a parliamentarian,” he said.